Orchids (or any other) wild plant. Click to purchase plants from legitimate plant nurseries. Orchid habitat is very specialized. Orchid pollination is very specialized. Orchid germination is very specialized. Admire them in the wild and let them live. Blooming information withheld to protect the Orchids. 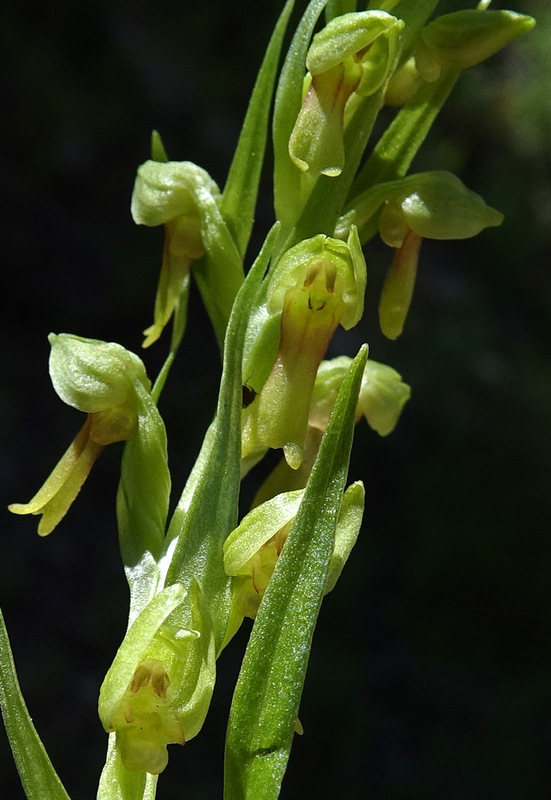 This unusual and uncommon Orchid is recognized by its long, green, sharply pointed bracts at the base of each flower, a long lower flower lip that has a tip with two prominent lobes and one very small central lobe, and a minute bladder-shaped spur at the base of the lower lip. 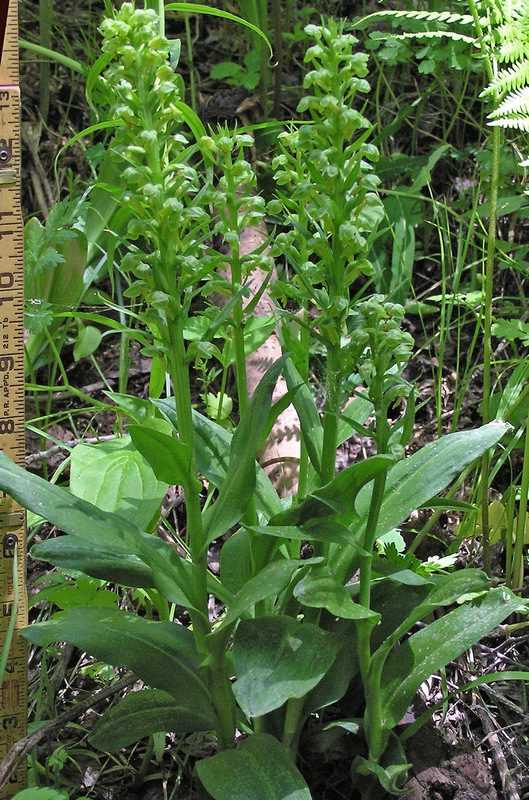 The photograph at the top of the page shows a mature plant growing in a moist area ten feet from a stream, whereas the plant at left is young and in a seasonally moist area at the base of a steep slope. In the Four Corners area, C. viride is found only in Montezuma and La Plata Counties, Colorado. 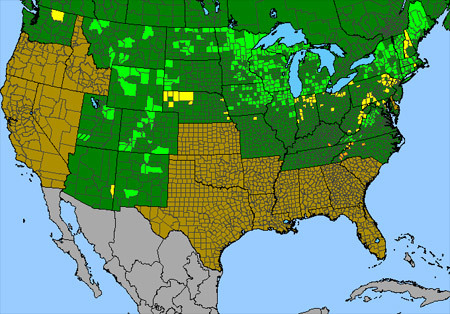 The plant is relatively uncommon in the West but is widespread in the north-central and north-eastern United States. 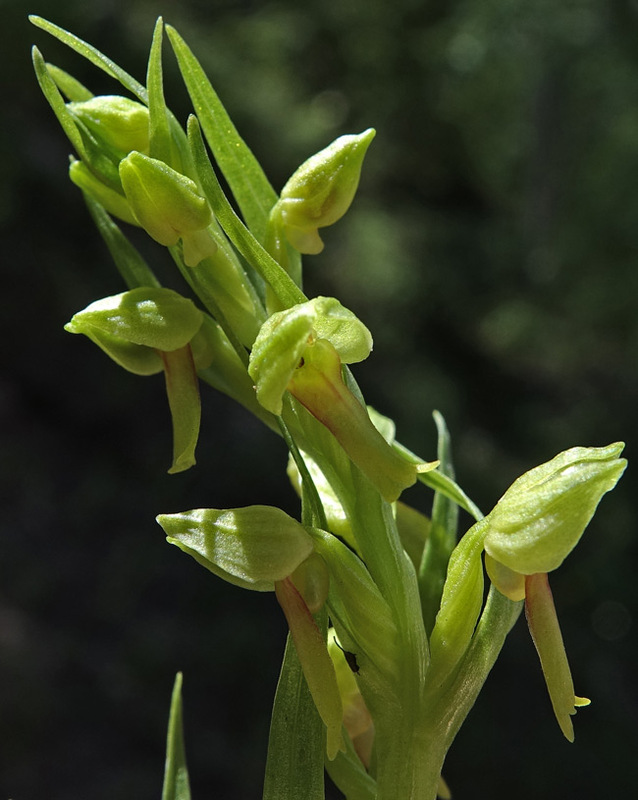 The plant was first named Satyrium viride by Linnaeus in 1753, was renamed Habenaria viridis by Robert Brown in 1813, and Carl Hartman assigned its present name in 1820. "Coeloglossum" is from the Greek for "hollow, or sheathed, tongue" and "viride" is Latin for "green". 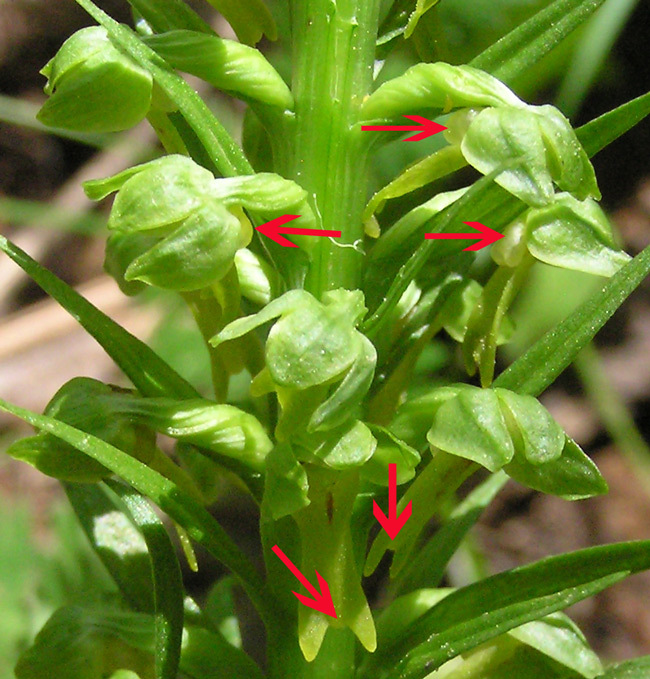 Upper flower petals are green but the long lower lip can be white, white-green, or as shown in the two photographs below, light yellow-green. The base of the long lower lip can have tinges of pink or peach.